Our famous WE SAY NO To Spectra’s Algonquin Incremental Market Pipeline banner has been seen by many passers-by, local, regional, national and international media to help tell the story of a community who says NO to a Texas based company coming to our community to take land and install a poisonous and risky pipeline for their private profit. What do WE SAY YES to? We say YES to Renewable, Safe, Local Jobs and Healthy Families. 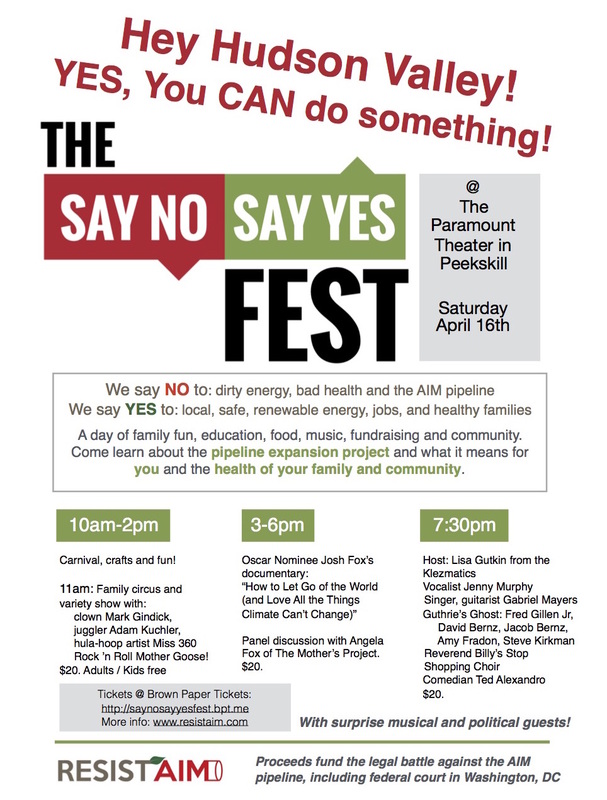 Will you say YES to joining families on May 21st at 9am in Peekskill to stop the Spectra Pipeline? If so, please click HERE or on the image above to sign up for a morning of safe, non-violent, fun direct action. We are calling for people to physically stop construction activities by putting their bodies on the line along the proposed pipeline route. It’s time to show up for impacted communities, for New York, and for our climate! Dana Lyon serenades us April 8th! Dana is contributing part of the evening’s proceeds to ResistAIM. 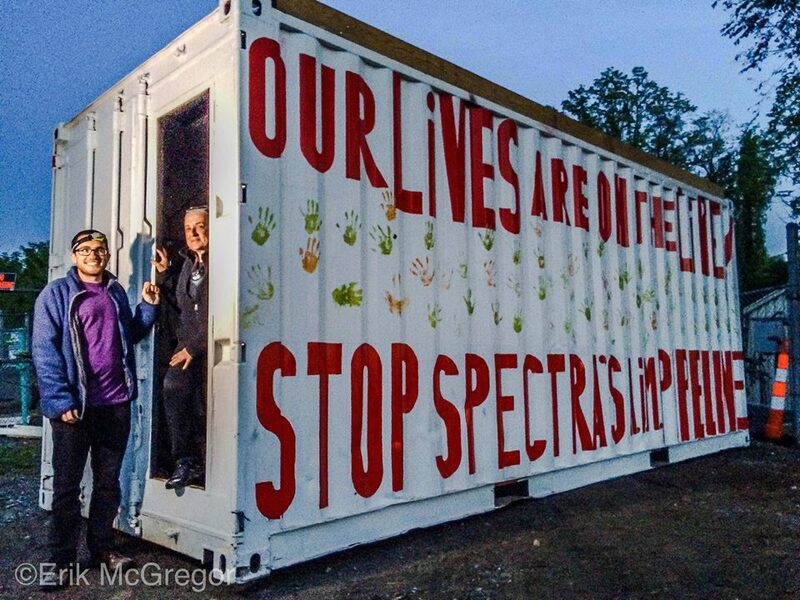 Trees have been felled and people’s land taken to build yet more fracked gas infrastructure in the Northeast. 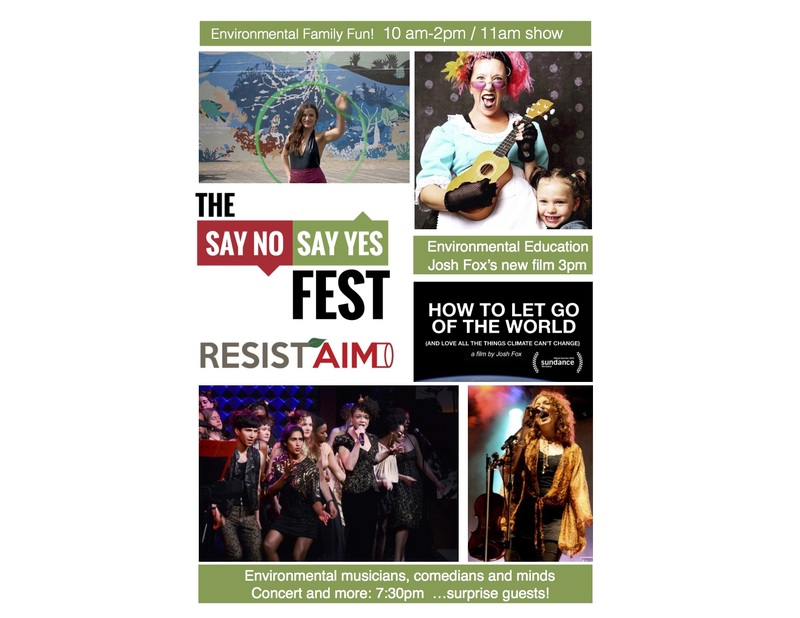 You are looking at the brand new website for RESIST AIM. Look around, learn more about the AIM Pipeline and about our work – but first, SIGN THE PLEDGE!